“Never stop believing!” – would say some office people, while reading this, because one more childish dream has come true. Now it is possible not only to send the print jobs from any part of the office to a compatible printer in another room from your PC or mobile device, but also the printer will bring the ready documents back to your desk. The novelty belongs to Fuji Xerox—a joint venture of the two companies. The first test have been done in Tokyo, Japan. The robotic printer is aimed for public places (like business lounges in airports) and offices for secure managing of the documents. Each desk in such a public place will have a unique web address. By getting access to it, a user should upload the needed files and send them to printing. When the “robot”-printer gets the job, it moves to the intended place, where the user confirms the operation with a smart card. 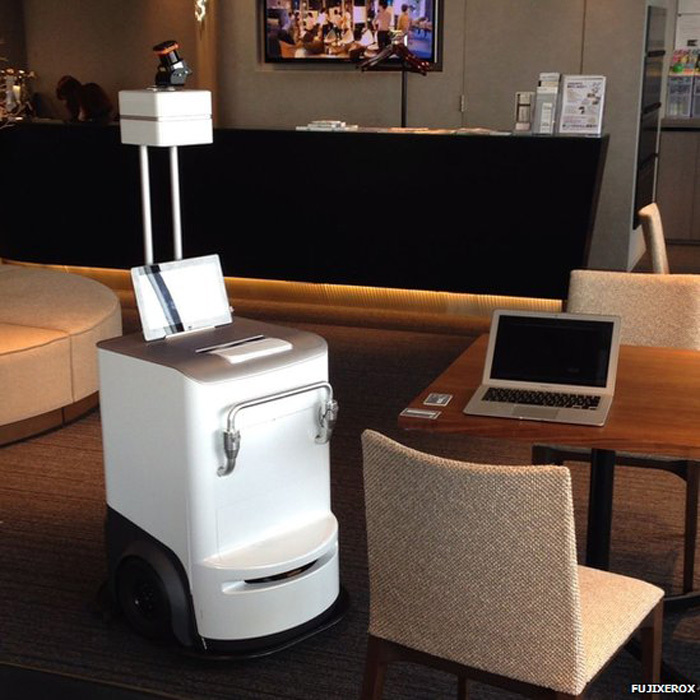 The machine will possess sensors not to bump into people and a day-long battery charge. Though some analysts say the invention to be cost-inefficient and “a technology for the technology’s sake”, it happens to be. This entry was posted on Wednesday, September 10th, 2014 at 9:19 am	and is filed under Fuji, printer, Xerox. "The New Line Of Epson Cheap Laser Printers"
"Samsung Smart MultiXpress: First MFPs powered by Android"